The 2016 Volt will build on the award-winning original's strong foundation of technology innovation. Volt sales were up 13 percent in July and more than 65,000 have been sold since it was introduced – making it the best-selling plug-in passenger car in the U.S. market. "Volt is the perfect example of the ingenuity that drives everything we do at Chevrolet," Mahoney said at the Center for Automotive Research Management Briefings. 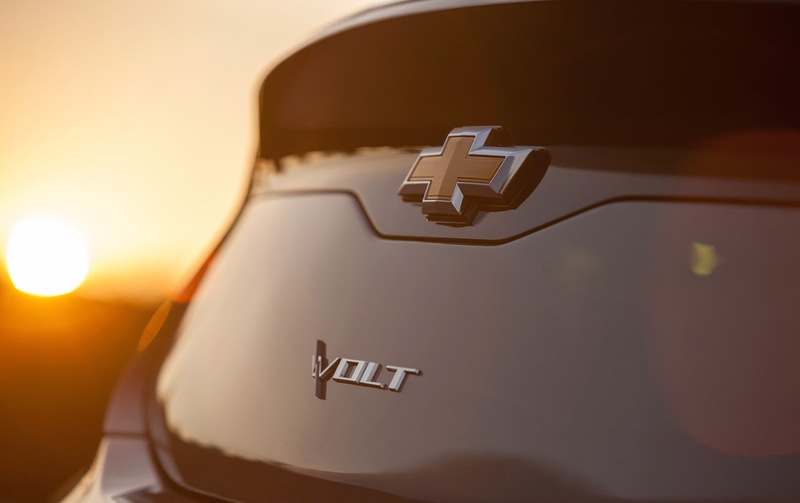 "Volt fully delivers on the promises of Find New Roads and will continue to provide consumers with the transportation solutions they need and deserve in the future." Volt owners are driving more than 63 percent of their overall miles in electric vehicle mode, collectively logging more than 500 million gas-free miles since the Volt's retail debut in 2010. That has saved more than 25 million gallons of gasoline. While the driving range in EV mode can be affected by temperature, driving technique and terrain, the ease with which Volt drivers are avoiding gasoline use demonstrates the Volt's suitability for almost any lifestyle. The Volt has received multiple customer satisfaction awards from leading third-parties. According to a recent leading independent satisfaction survey, the Volt is the highest-rated compact car under $55,000. Owners are showing their satisfaction as well. For the past three years, a leading customer publication has reported survey results showing more than 90 percent of Volt owners said they would definitely buy a Volt again. The Volt continues to draw buyers from non-General Motors' products. In the 2013 calendar year, nearly seven of 10 new Volt buyers traded in a non-GM vehicle, the majority of which were Toyota Priuses.